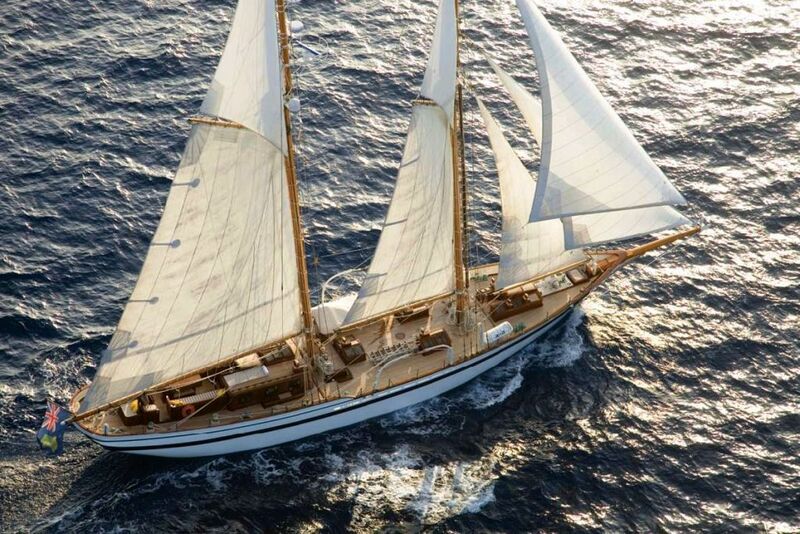 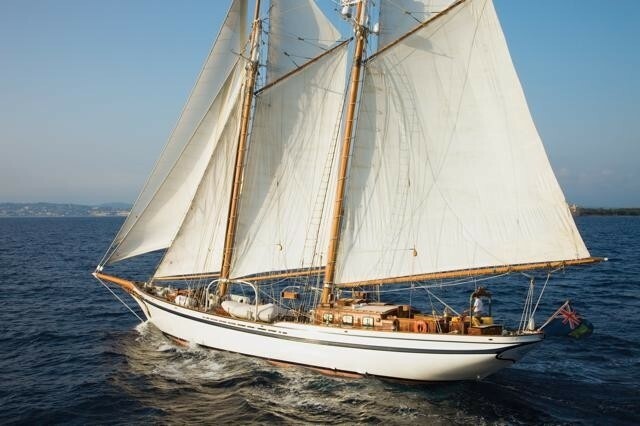 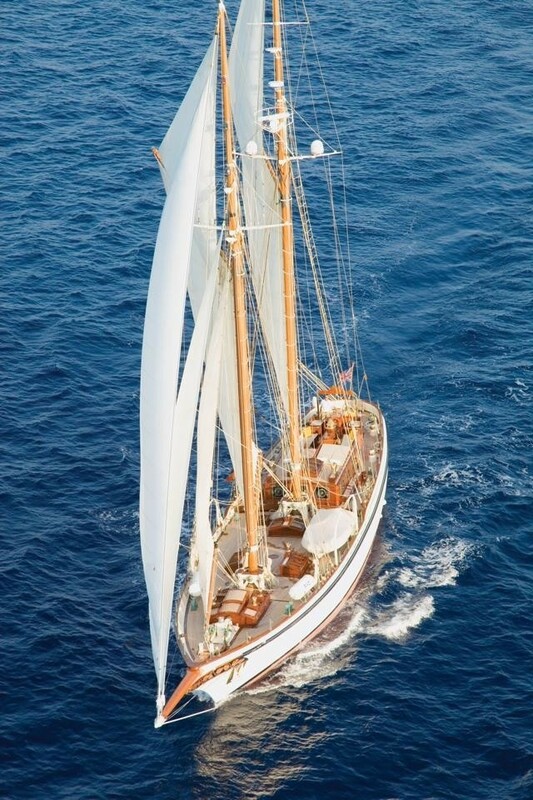 Sailing yacht LADY THURAYA is a 31,00m (101' 8") schooner built by Lubbe Voss Germany in 1982 and refitted in 2009. 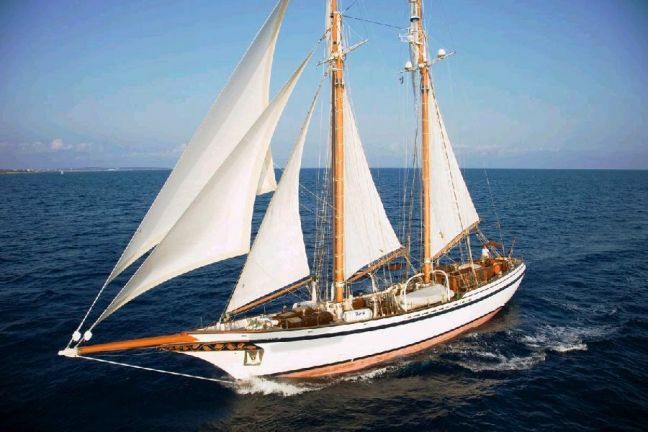 She has a heavy displacement S-frame with overhang stern and raked schooner bow and long keel, with steel rudder to keel and skeg. 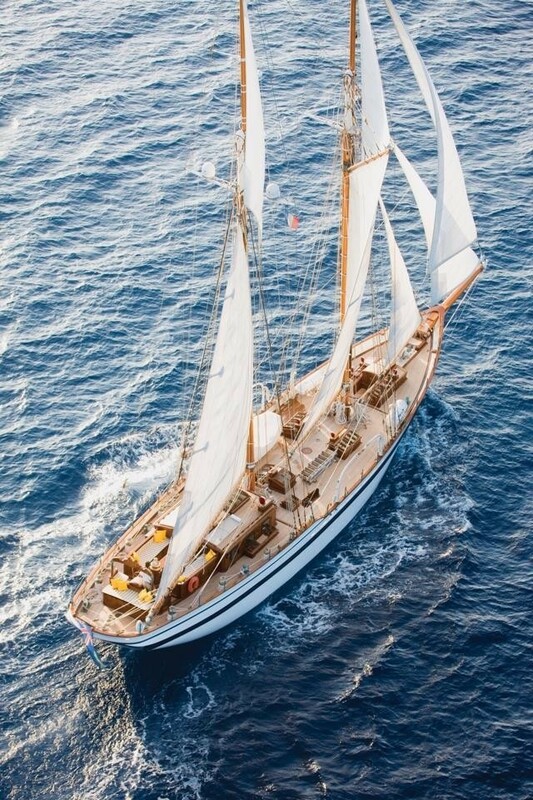 LADY THURAYA can accommodate 8 guests in 4 cabins and she cruises throughout the waters of the East and West Med as well as the Caribbean. 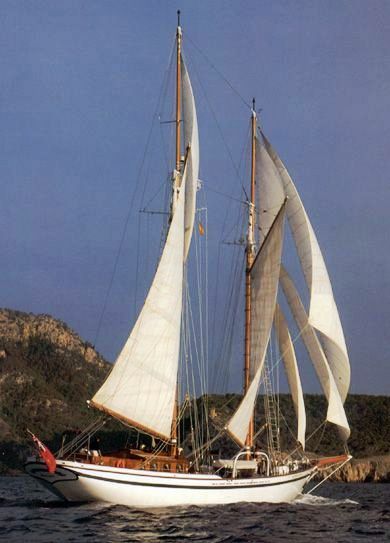 LADY THURAYA ex ADELITA has been completely rebuilt from the stripped hull. 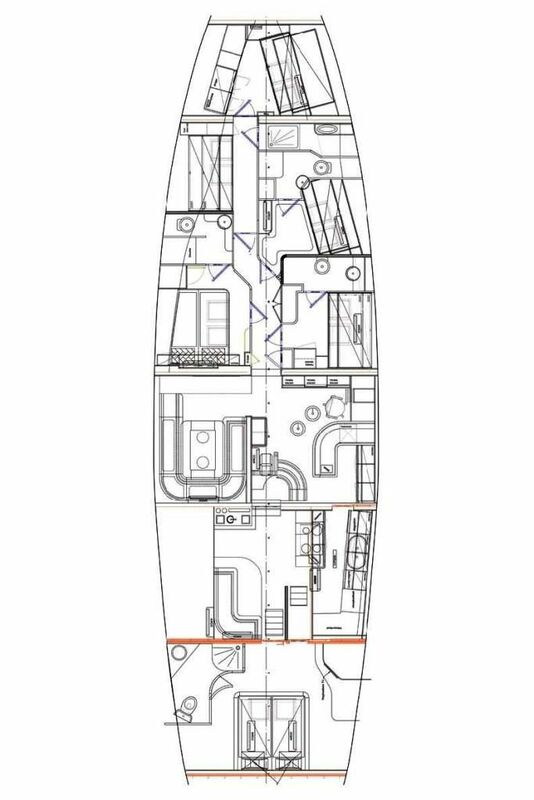 The refit took 18 months very system was replaced or renewed. 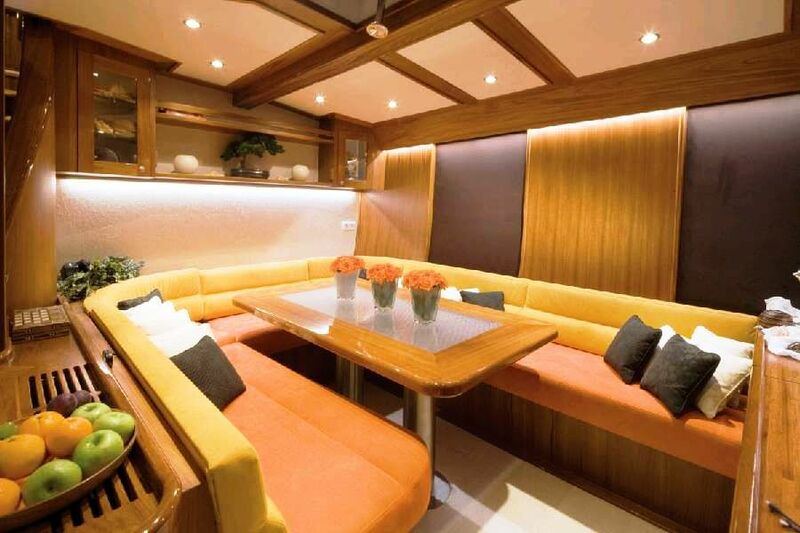 The yacht now has an ultra modern interior while retaining her beautiful exterior classic lines offering the best of both worlds. 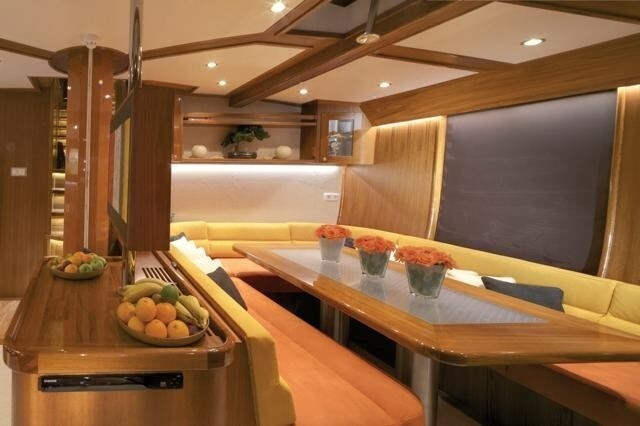 She is an ideal yacht for a family charter. 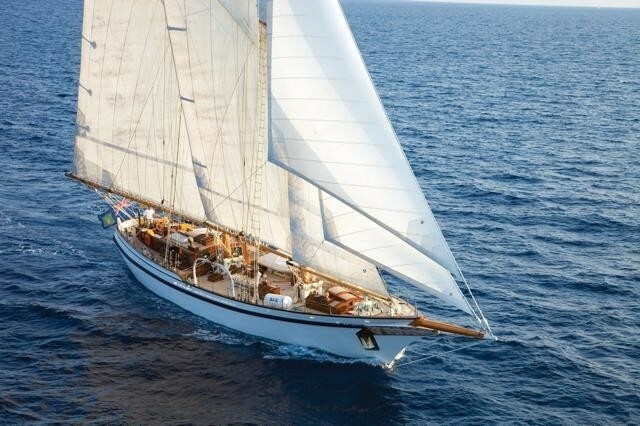 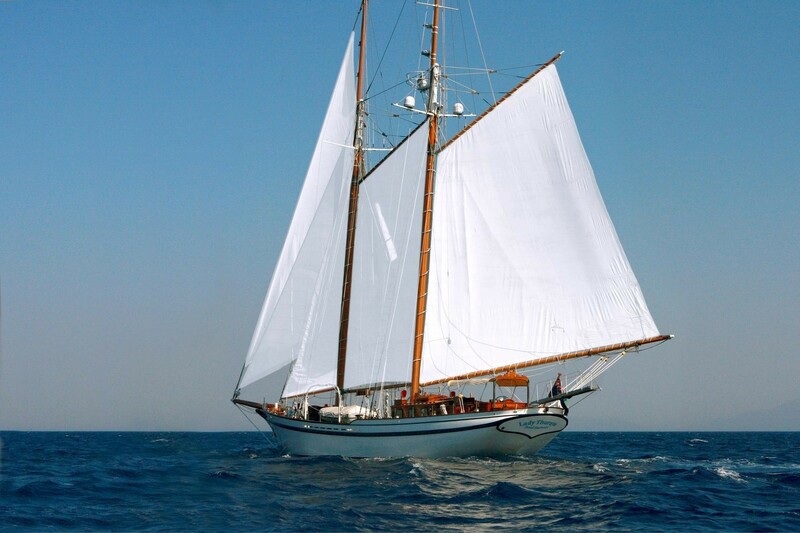 S/Y LADY THURAYA can accommodate 8 guests in 2 double and two twin cabins. 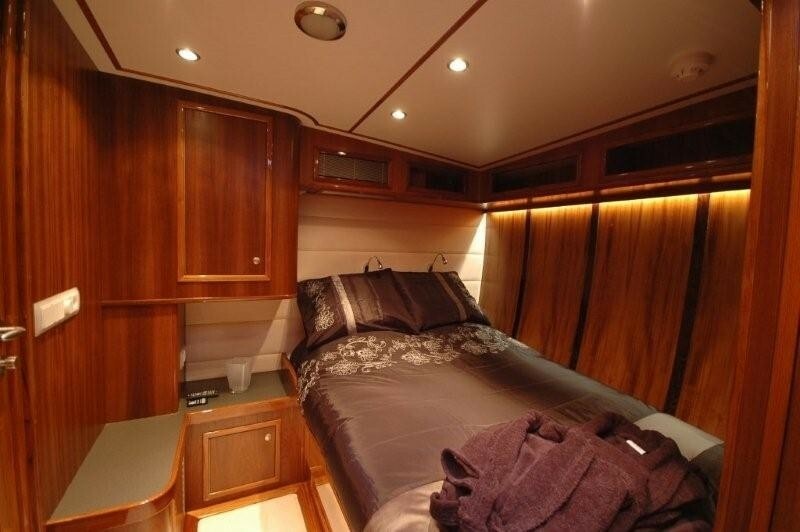 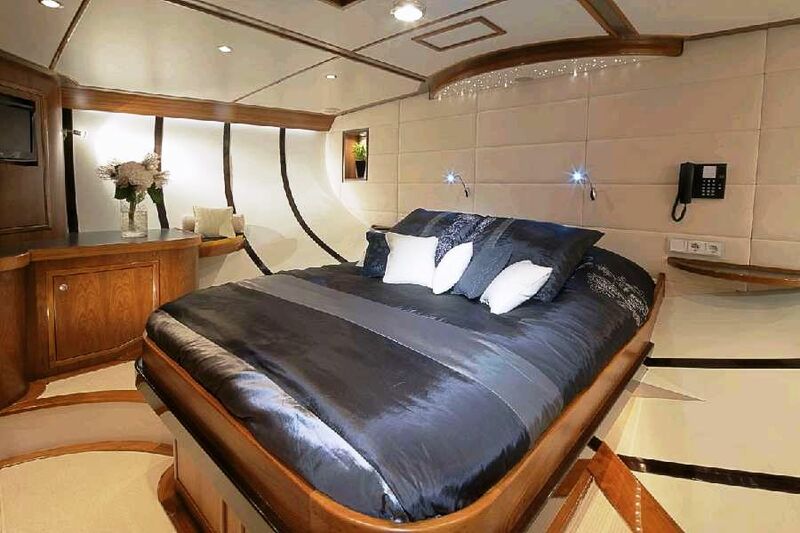 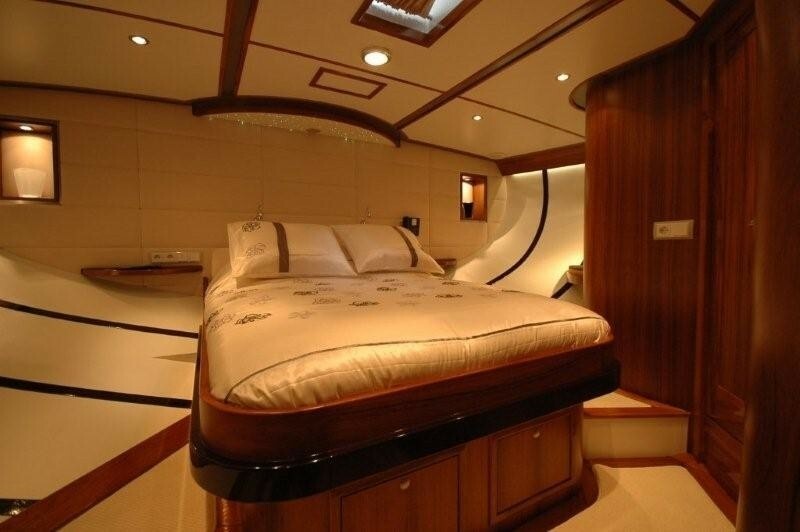 The yachts Master cabin offers a queen size bed with luxurious mattress, spacious lockers, built in stereo and Flatscreen TV and luxury en-suite bathroom with flush toilet and separate shower with marble interior. 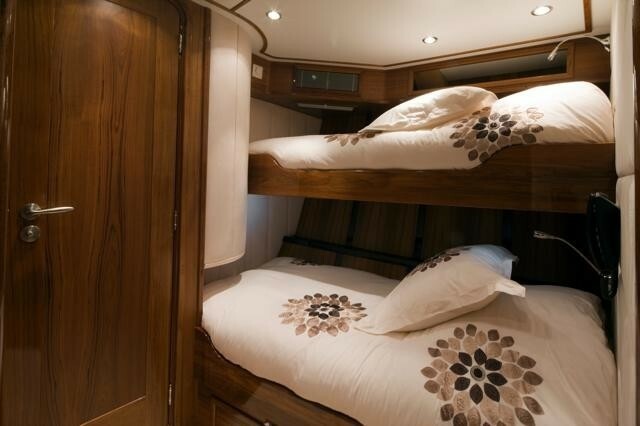 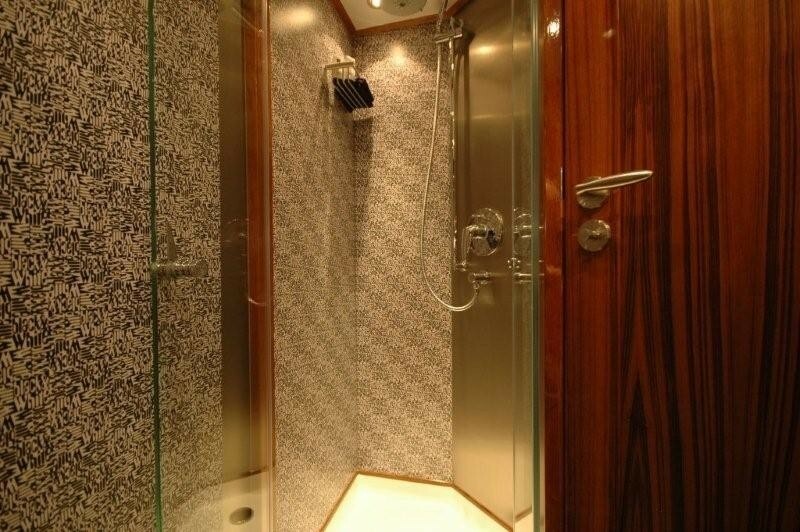 The double cabin also has spacious lockers and an en-suite bathroom with separate showers and flush toilets. 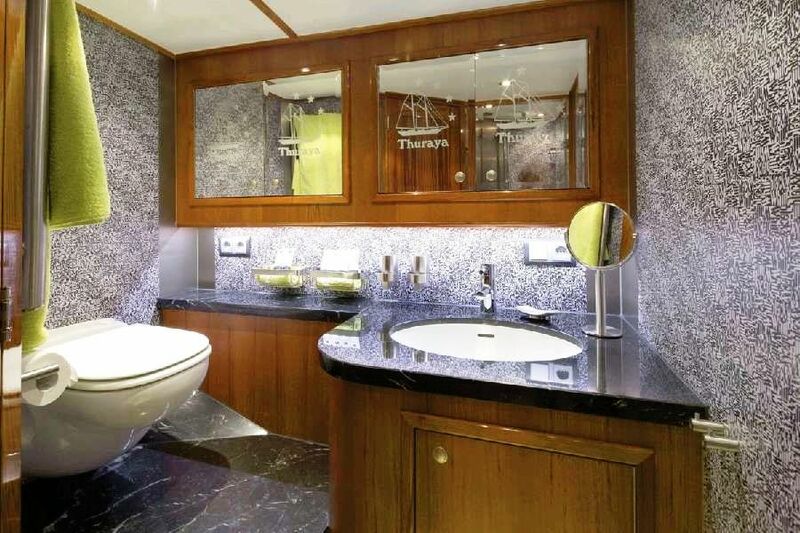 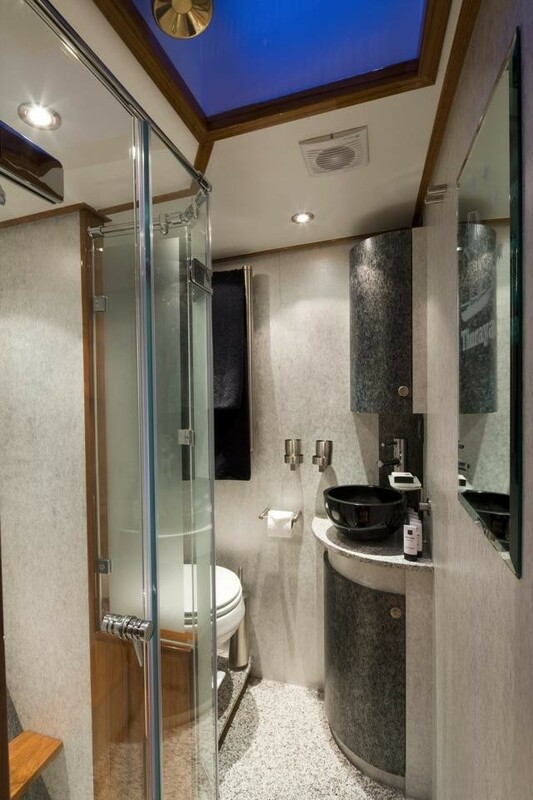 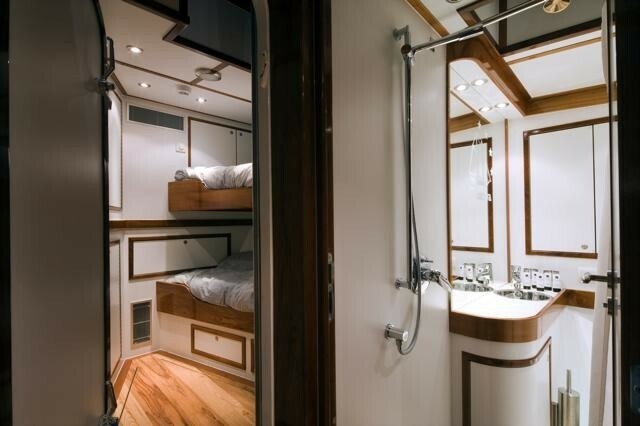 The remaining two twin cabins (one with 2 lower singles and the other with upper lower bunk beds) have spacious lockers, an en-suite bathroom with separate showers and flush toilets. 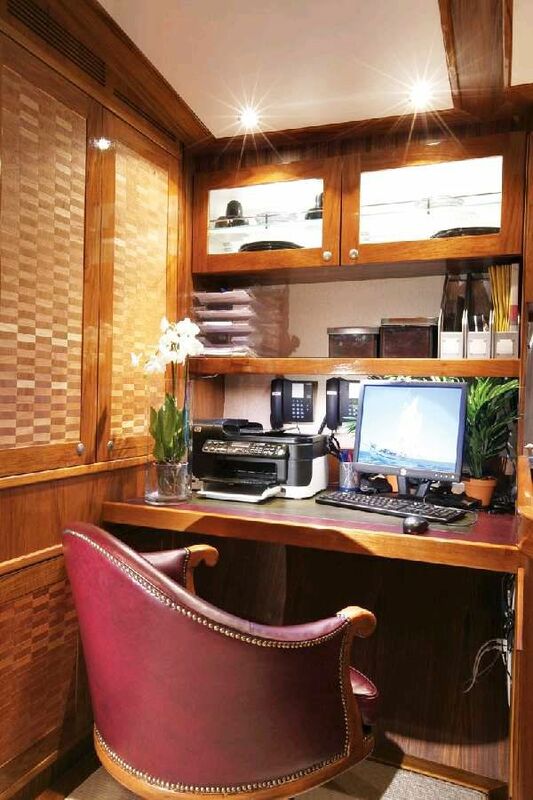 All of LADY THURAYA’s cabins have a stereo and TV as well as being air-conditioned and also heated. 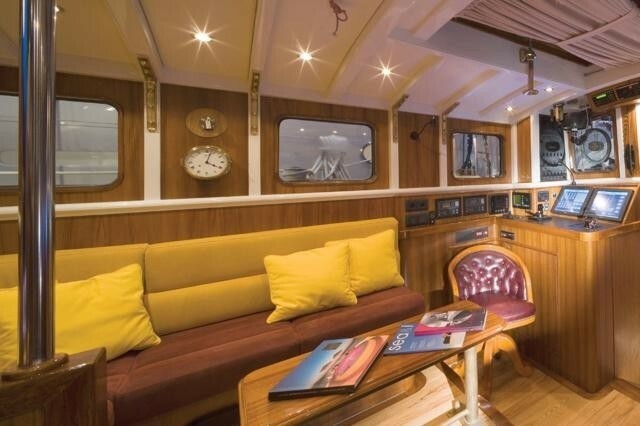 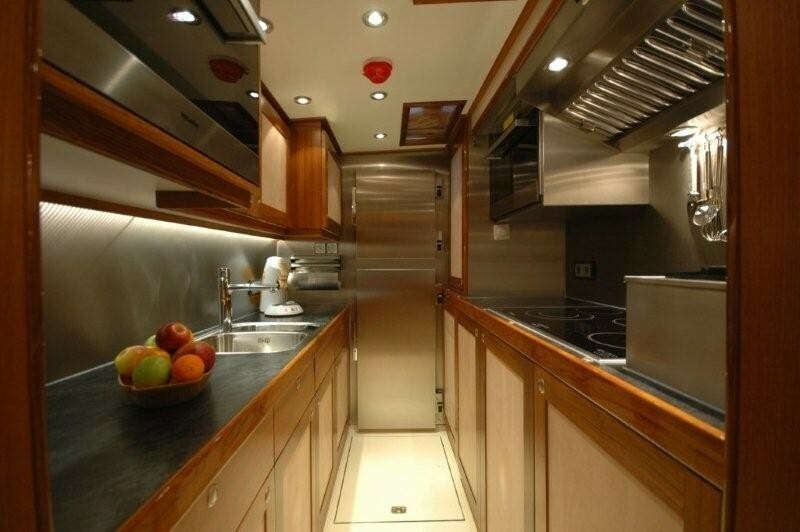 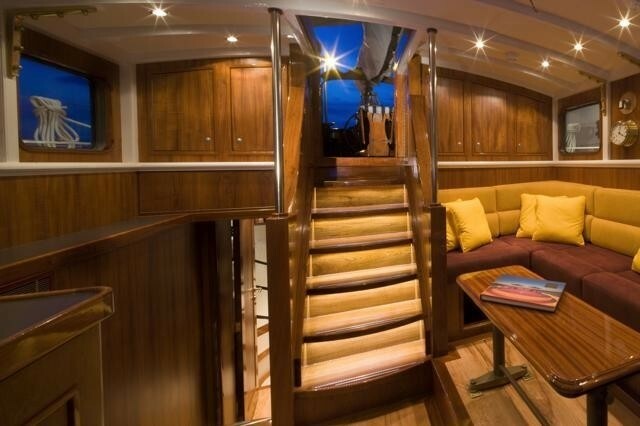 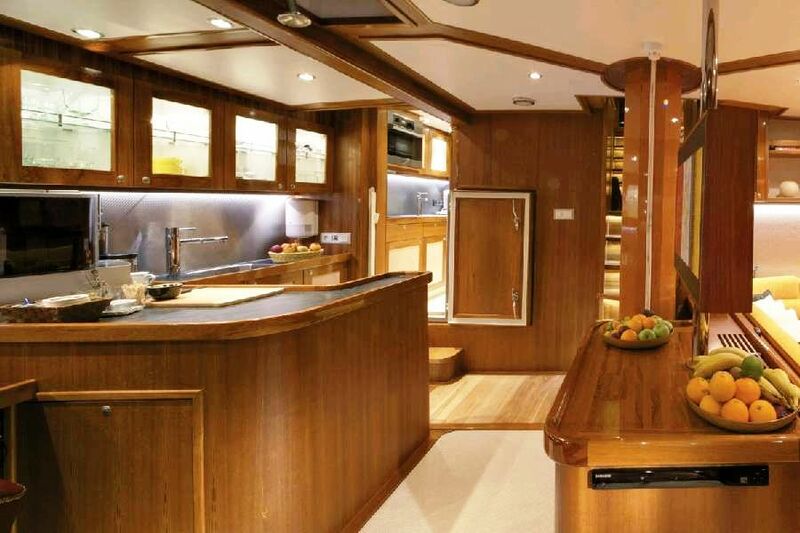 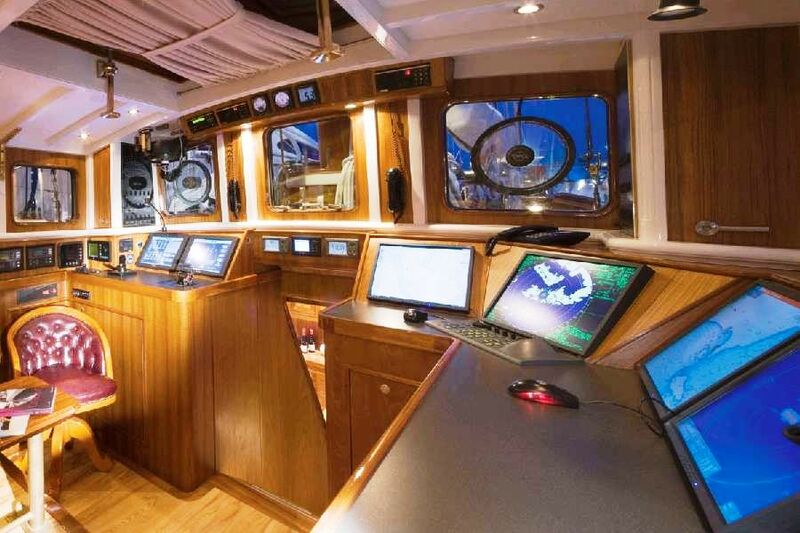 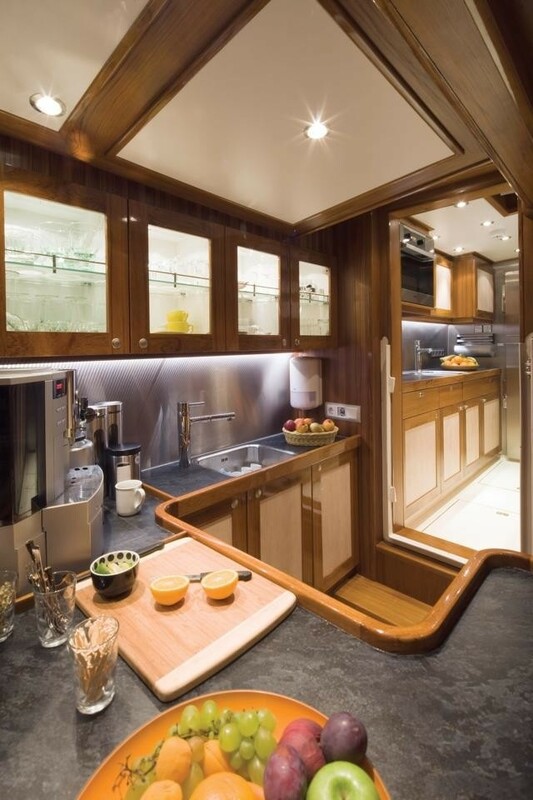 Luxury Sailing yacht LADY THURAYA can accommodate 8 guests in 2 double and two twin cabins. 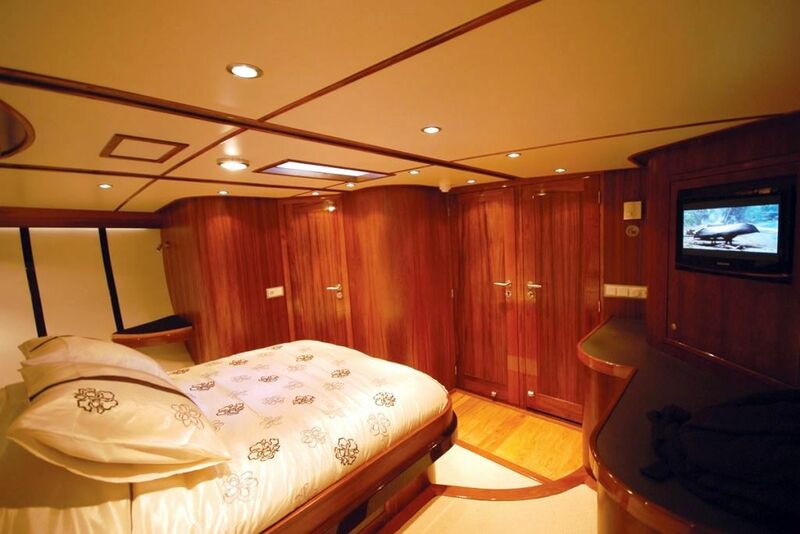 The yachts Master cabin offers a queen size bed with luxurious mattress, spacious lockers, built in stereo and Flatscreen TV and luxury en-suite bathroom with flush toilet and separate shower with marble interior. 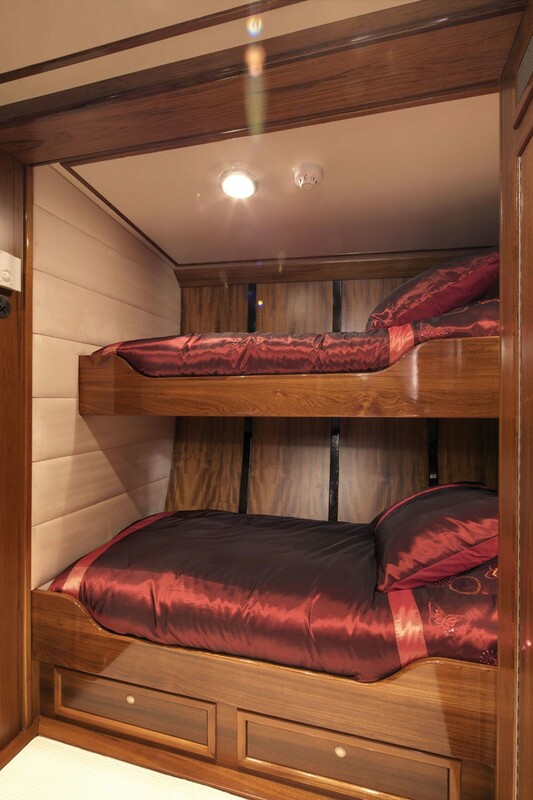 The double cabin also has spacious lockers and an en-suite bathroom with separate showers and flush toilets. The remaining two twin cabins (one with 2 lower singles and the other with upper lower bunk beds) have spacious lockers, an en-suite bathroom with separate showers and flush toilets. 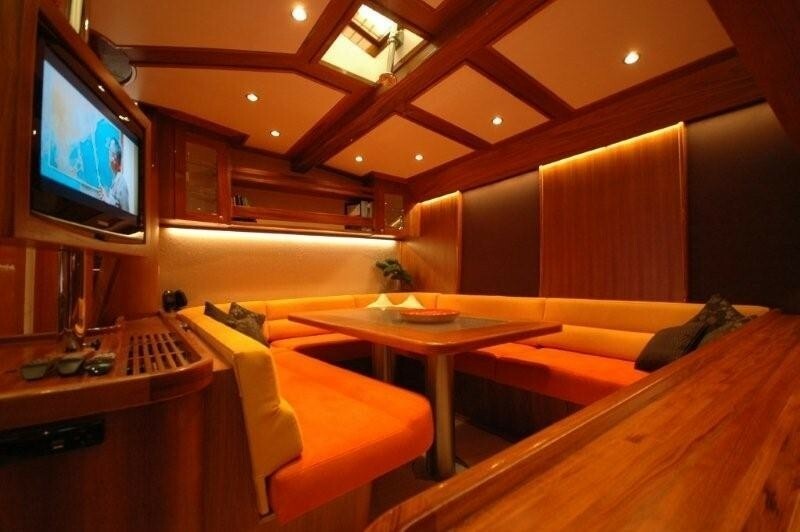 All of LADY THURAYA’s cabins have a stereo and TV as well as being air-conditioned and also heated.